Rain or Shine is a interactive 360° mobile VR short film that follows Ella, a charismatic young girl who loves being in the sunshine. The sun is shining, the birds are singing, there’s a spring in everybody’s step. It’s a perfect day until Ella steps outside. Everywhere she goes it rains – is she going to ruin everyone’s day? Rain or Shine is Nexus’ interactive 360° mobile VR short film made for Google Spotlight Stories. 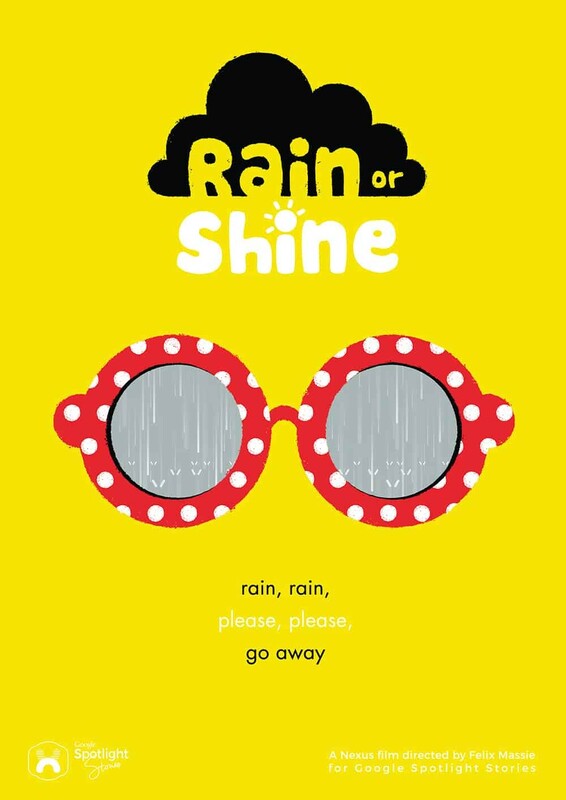 Directed by Felix Massie, Rain or Shine follows Ella, a charismatic young girl who loves being outside in the sunshine, but whenever she puts her sunglasses on all loveliness disappears – her very own raincloud appears above her head and showers her with unwanted rain. The story warmly illustrates Ella’s frustration in wanting to enjoy her day in the sunshine, and follows her amusing but futile attempts to dodge the rain.